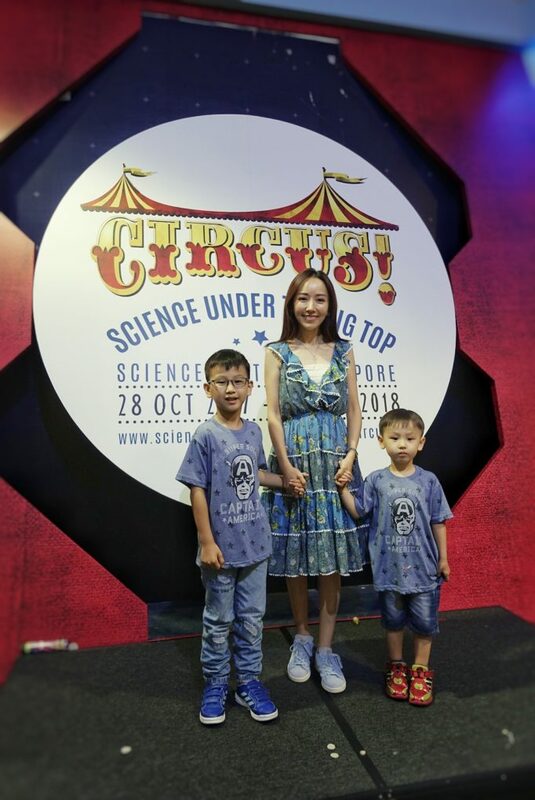 Thanks to Science Centre Singapore and MediaCorp VizPro International Pte Ltd, my two boys and I had the chance to visit Circus! Science Under the Big Top. This is part of Science Centre Singapore largest series of year- end blockbuster exhibitions to celebrate 40 years of inspiring science. Themed around the timeless topic with a broad appeal, Circus! Science Under the Big Top kick-starts the showcase and invites visitors to get a closer look at some of the most mind-boggling and death-defying circus acts. Visitors can satisfy their curiosity and immerse themselves in the science behind some of the iconic circus performances. The exhibition will run from 28 October 2017 to 18 March 2018. Organised by Science Centre Singapore and Mediacorp VizPro International, Circus! Science Under the Big Top is a travelling exhibition originally from the Ontario Science Centre. It first opened in Toronto, Canada in 2001 and has undergone timely enhancements as it travelled across the world wowing over 600,000 visitors, including the UK and the US. The exhibition also celebrates the heritage of modern circus, specifically how it all started with Englishman Philip Astley who created a ring to bring together different performing acts back in 1768, nearly 250 years ago. The Singapore edition features around 20 interactive exhibits. Visitors can experience how it feels to balance on a three metre High Wire or securing themselves to the harness in Elastic Acrobatics and perform aerial tricks like a trapeze artist to trying their hand at juggling. Explore the art of packanatomicalization (getting into small spaces) and find out if you have what it takes to fold yourself into a small box as the contortionists. Discover how science is at the heart of every circus act. Additional activities have been planned to augment the science learning through activities such as magic performances on every Saturday and Sunday at 3.30pm from 28 October to 31 December, as well as a special magic workshop for children on 18 November where participants will learn the techniques behind time-tested magic tricks such as “Vanishing Tissue” and “I Know Your Number”. Science Centre Singapore will also launch three other exhibitions, as part of its #unFOURgettable40 celebrations this year. The other three exhibitions are Phobia2 (28 October), Dialogue with Time – Embrace Ageing (10 November), and Above and Beyond (25 November). Together, the four exhibitions invite visitors to explore and understand the science behind intriguing phenomena in our lives that can be dissected and explained by scientific theories. More details about the exhibitions can be found at www.science.edu.sg or on the Science Centre Singapore’s Facebook page. Admission to Circus! Science Under The Big Top is priced at $15 per child and $18 per adult. Promotional bundles are available at $52 for a family of four (2 adults and 2 child).